Whether you are a simple husband or an expert mechanic, we all know that loosening a corroded nut can be frustrating. If you do not have the right tool, you will most likely spend some time before you can take it off. However, you can free yourself from the struggle by buying the right cordless impact wrenches. Impact wrenches are designed to cut half the time you spend in loosening a corroded nut. Aside from that, it’s a must-have tool in every mechanic shop. 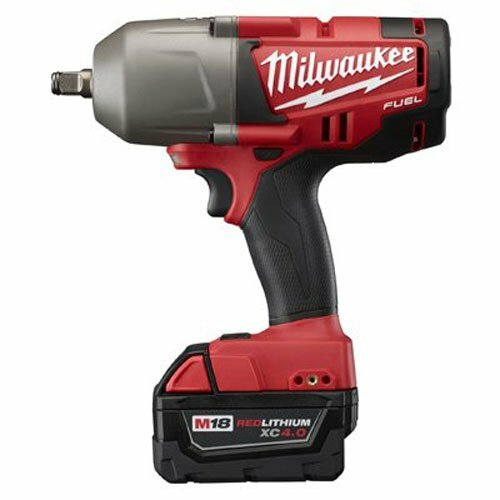 Let’s start our list with the Milwaukee fuel high torque impact wrench. It includes impact wrench with friction ring, two battery packs, and a charger. This impact wrench is perfect for loosening rusted and corroded bolts. It features a four-mode drive control, so you gain complete control when using the product. Thanks to its compact design, you can carry this impact wrench wherever the work needs to be tone. It can also be used in narrow spaces. And not to mention that it has a rubber grip that’s ergonomically comfortable to use, even for an extended period of time. 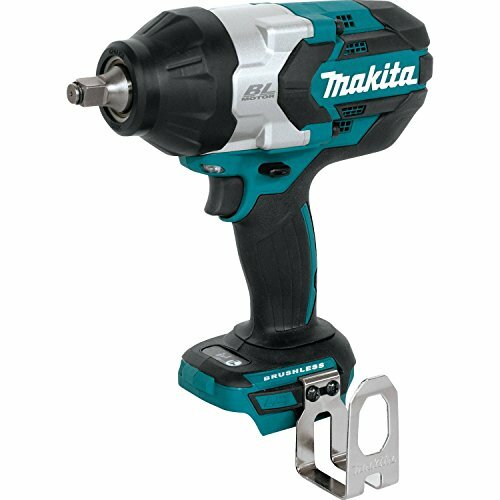 Next, we have the Makita brushless cordless high-torque square drive impact wrench. Its powerful BL motor can deliver up to 740 ft. Pounds of max torque and 1,180 ft. Pounds of breakaway torque. Its three-speed power selection switch ranges from 0-900/0-1,000/0-1,800 RPM & 0-1,800/0-2,000/0-2,2000 IPM for a precise fastening control. It has a ½-inch anvil with friction ring for a quick and easy socket change. Its brushless motor gets rid of the carbon brushes, allowing it to run cooler and extending its service life. Furthermore, its electronically control that can optimize battery energy use for up to 50% longer run time every time you charge. The manufacturer offers a three-year warranty upon purchase of the product. 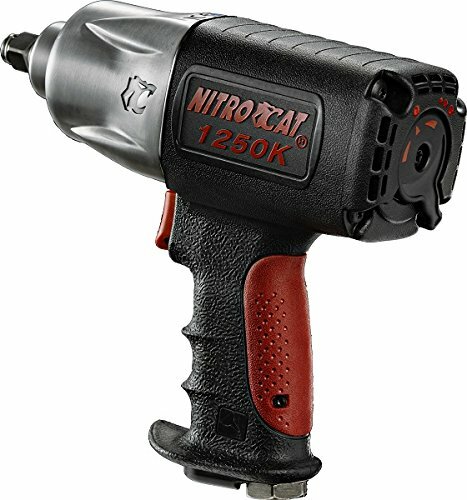 Another budget-friendly item that we’re featuring today is the Nitrocat 1250-K Air impact wrench. It has 1,300 ft. pounds of torque. Its patented quiet exhaust technology produces only 86 dBa for noiseless operation. It also features a patented ergonomic Kevlar handle and housing for optimal comfort when using the product. It had a patented forward-reverse switch and reinforced twin clutch mechanism. The manufacturer offers a three-year warranty upon purchase of the product. 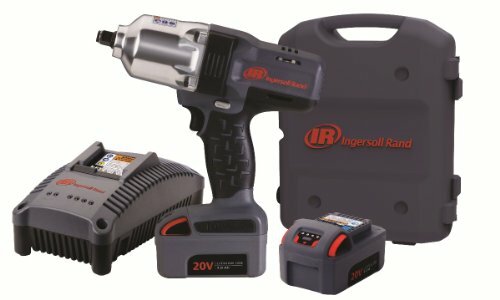 Take a look at this sleek-looking Ingersoll-Rand high-torque impact tool. It has a power of 1100 ft. pounds nut-busting torque. Weighing only 6.8 pounds, you can bring it anywhere that you like without much hassle! Aside from that, it features a highly-efficient and rare earth magnet motor, high-capacity variable speed trigger, and all-metal drive train for accommodating the toughest of the jobs. Its metal-reinforced housing is rugged and can withstand the harsh elements of the working environment. It also has an optimized balance with an ergonomic handle and soft touch over-molded grip that provides an increased comfort even if used for extended time. Its long life 20V lithium-ion battery can deliver high-charge capacity and low internal impedance for maximum power delivery and run time. 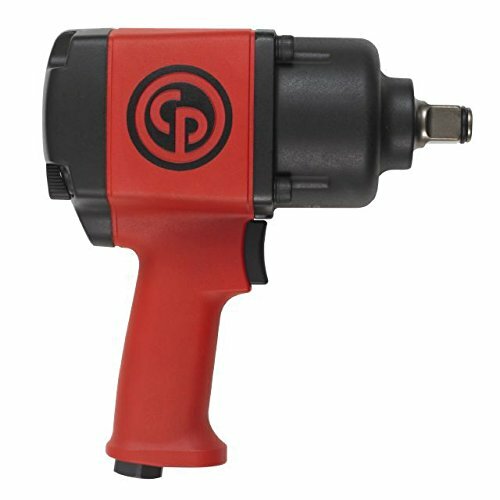 This impact wrench also features an intelligent battery management system that can provide a power-level and current control from the battery to the switch to the motor for optimal efficiency. 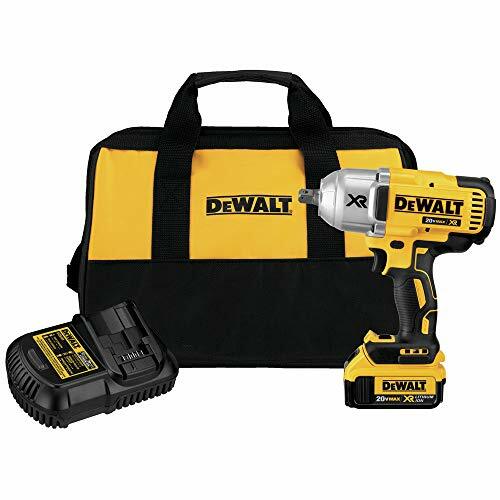 We also have the Dewalt impact wrench. This product is certified refurbished and has been tested to work like brand new. There are no signs of wear. The specialized third-party seller has also been approved and registered. This impact wrench features a compact design of 8-13/16 inches in length. It has a multi-speed control for a variety of applications and up to 7000 ft. pounds of max torque and 1200 ft. pounds of max breakaway torque. It comes with a ½-inch anvil with detent pin. The accessories may be generic and do not come directly from the manufacturer. This impact wrench is packed in a generic white box. For your assurance, they offer a 90-day warranty. The Milwaukee impact wrench is superior in performance as it can deliver up to 700 ft. pounds of maximum fastening torque and up to 1,100 ft. pounds of nut-busting torque. It can provide up to 2x more runtime. The impact wrench is powered by a power state brushless motor that can outpower competitors. It can run cool without wearable components. 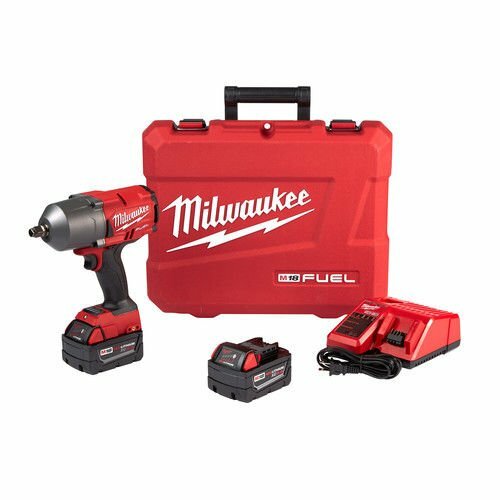 Also, it features the Redlink Plus intelligence that will allow you to choose between two fastening modes with Milwaukee’s proprietary drive control feature. Its Redlithium XC 4.0 battery pack can provide a superior pack construction, electronics, and performance for any job that needs to be done. It comes with a ½-inch anvil with friction ring for fast and hassle-free socket changes. This Chicago Pneumatic impact wrench offers 1200 ft. pounds of torque—the power to loosen the toughest fastener or bolt. It weighs less than 12 pounds, allowing you to carry it anywhere you want. Its light weight also allows you to prevent fatigue after using it for an extended period. It features six vane motor for speed and power with any ½-inch hose are supply. Its Twin Hammer high-performance clutch can lengthen the lifespan of the product. For a more comfortable grip, it has an ergonomic handle exhaust that will keep the air away from you during the operation. 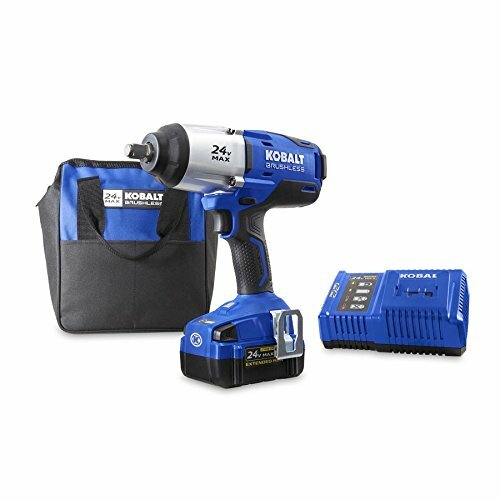 The Kobalt cordless impact wrench features a highly-efficient brushless motor that can provide a 650-feet pounds of breakaway torque. It has a variable-speed trigger that can generate 0-1,900 RPM no-load speed and 2.400 IPM for a faster application speed. This impact wrench has an integrated LED work light that can illuminate your surroundings when working in a dimly-lit space. It has a 24-volt max 4.0-Ah Li-ion battery that features an integrated fuel gauge to keep you notified of the battery charge. 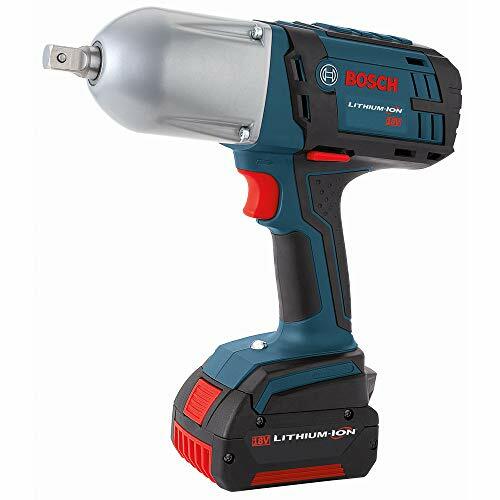 For our last item, we have the Bosch impact wrench. It offers 5000 ft. lbs of max torque for a fast tightening and removing of bolts. It only weighs 6.7 pounds, allowing you to carry it anywhere you want. Its lightweight design also lessens the fatigue in your hand when using it for an extended period. The impact wrench also comes with a spring-loaded hammer and anvil for high amounts of torque with little torque reaction. It has 1,900 RPM with 2,100 IMP. Not to mention that its optimized mechanism can create added efficiency. It can work with Slimpacks and Fatpacks that can monitor battery to reach its maximum life.